A bit over a week ago I wrote about how Royal Jordanian is offering a status match promotion. While several oneworld airlines are offering status matches to former airberlin topbonus members (as the airline goes out of business), Royal Jordanian has a promotion open to members of other programs as well. 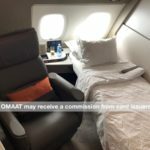 What makes Royal Jordanian unique is that they’re willing to match all the way up to their Platinum tier, which is the equivalent of oneworld Emerald status. To take advantage of this offer, they’re requiring quite a bit of documentation, including 12 months worth of mileage statements, a recent boarding pass showing your status, a copy of your elite card, etc. The other hurdle they’re adding is that you’ll only be given the status after earning 5,000 status miles with Royal Jordanian (you have to earn these by flying Royal Jordanian, and not by flying on their oneworld partners). Your status will then be valid for a year, and can be renewed for a further two years by earning a further 20,000 status miles. 1- The frequent flyer member must be a current Elite member with a valid membership from the airline. 2- A recent boarding pass that shows your current status. 3- A picture of the physical card and a statement of account for the past 12 months. 4- Should register in the Royal plus program. 6- Status match will be granted once only for the same member. 7- Member must achieve 20,000 miles within the first 12 months to keep the matched status, otherwise the card level will be demoted. 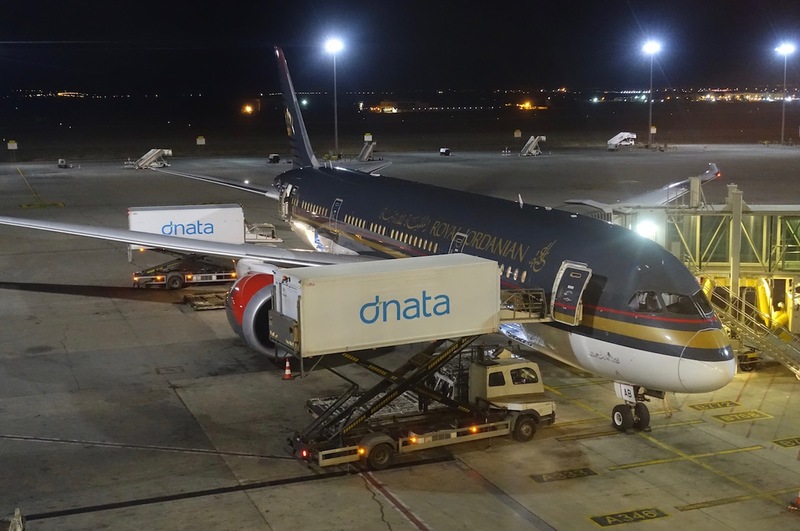 8- The processing and approval of each status match request is left at the sole discretion and judgment of Royal Jordanian Airlines. Upon the attached , we still need a copy of your recent statement and a boarding pass that shows your AA number , and once you add the first 5000 miles in your RJ account against a flown RJ tickets the status match offer will be followed . Thank you once more for your interest and we look forward to welcome you on board our flights at all times. I’m very tempted to take advantage of this. I could easily earn 5,000 status miles with a paid business class ticket on Royal Jordanian from Cairo to Bangkok, which costs just ~$670. That could very much be worth it for the benefits I’d get. It could even be worth it to earn the 20,000 further status miles to have the status be valid for another two years. The more I look at the program, the more I’m tempted to go for this. Anyone else considering going for a status match with Royal Jordanian? Join Me For A Facebook Live From A Very Special Location! Yes of course.. but the small niche of people able and or willing to earn the 5000 RJ Miles is probably pretty small. I always thought about this question when trying to reap benefits of partner status when flying American. Can you shed more light into it? When booking a flight on AA, does one need to input the Royal Jordanian (or any other oneworld) FF# in order to get emerald access to lounges when flying domestically for example. 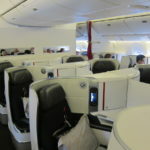 Can I continue using/crediting flying to AA for example but still use Royal Jordanian emerald for lounges for instance? Would I have to fly under a Royal Jordanian frequent flyer number to get access to the lounges (after I get status)? It seems like it wouldn’t be worth it if I have to credit all of my flights to Royal Jordanian just to get to use the lounge (when flying American domestically). I’m doing it. I fly them occasionally on codeshare with American anyway. ^ what’s the process like? You show the admirals/flagship club agent a frequent flier card of another airline even though the American Airlines boarding pass has your AA FF#? Does that work? If it works as easy as that. I’ll have to look into possibly getting a match purely for lounges on domestic itineraries. I am. May be a December possibility. However, my next trip needs to be on BA to make sure I get the 10% EQD award for my AA Exec Platinum sorted before Christmas. Any idea how long this status match lasts for? Any idea how long we have to collect the 5000RJ miles and if the next 20000 have to all be with RJ? @lucky Can I match as an AA exec plat? @Henry. I have used several times my LATAM Emerald card to enter Admirals Club/Flagship Lounge while flying domestically on AA, with my AA EXP on the boarding pass. I am quite explicit saying to the lounge agent that I want to enter using my LATAM card but accrue miles on AA. It requires some minor typing but it’s a non issue. You say it’s going to be valid for a year, but from when? The date of completion of RJ flight? Or all of 2018? Also, where do we email to request this status match? @ Andrei — I believe it’s valid for 12 months from when you’re matched. Emails go to [email protected]. @ Juli — Yep, you can match Executive Platinum status. @ Tony @ Rich — Trying to figure that out, not sure how long we have. I’m also not sure if all 20K miles have to be on RJ, but once I figure it out I’ll report back. @ Henry Z @ Hunter Threadgill — You don’t have to credit miles to Royal Jordanian. When you enter a lounge, just show your Royal Jordanian card, or you can even read them your number, if you know it off memory. They’ll enter it into the computer, and you’re good to go. You can still credit your miles to AAdvantage as usual once you’ve matched status. @lucky Sent a request for status match rules to that email address 2 days ago, haven’t heard back yet. Just a data point. @ tony @ lucky – any updates on the 5K and 20K requirement and whether it must be on RJ metal? @lucky @tony @john – Update: Neither 5K nor 20K need be on RJ metal as long as one flight in the first 5K is paid RJ travel that earns tier points. So that is good news. HOWEVER, what they neglected to mention i the terms of the status match is that you must also show a OneWorld status card with at least 6 months validity. I was rejected as my AA Plat status card expires in January and I did not renew.. If your AA or AB status is expiring in less than 6 months than you are out of luck.